Thousands of walkers, endless information on the internet…..it must be the exceptional beauty of the Way.Total length: 145 km. We started our trail at Crianlarich, leaving behind Milngavie (Glasgow) and Loch Lomond. 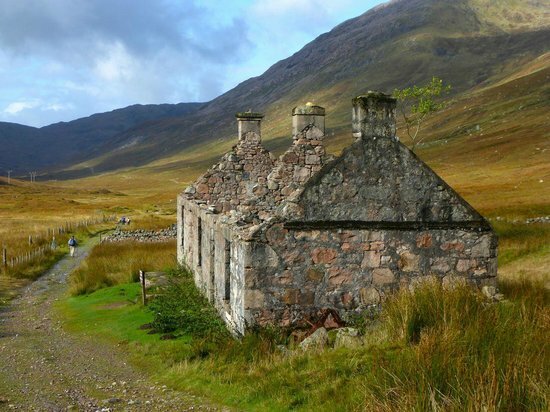 There is a train connection between Glasgow and Fort William, the end of the West Highland-way. So, in fact you can start everywhere, the train follows the route. 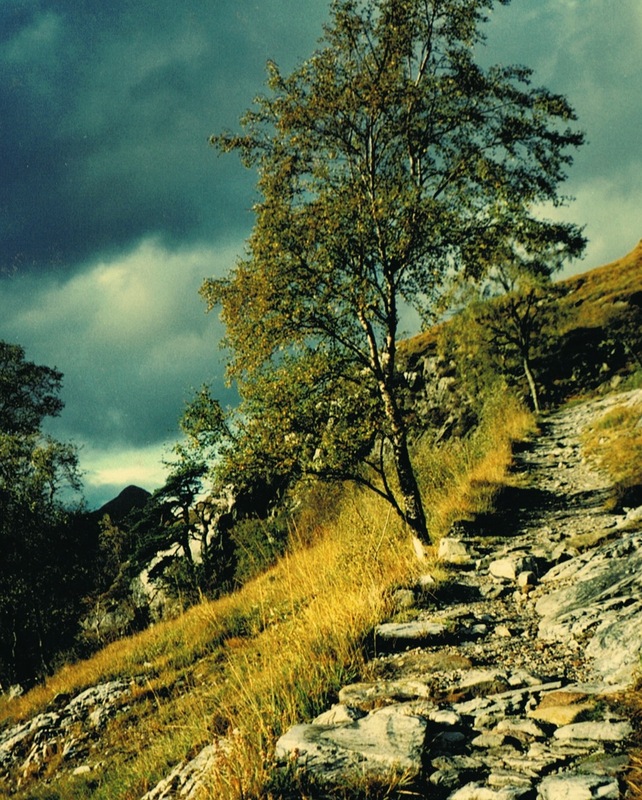 A well way-marked trail.The trail avoids the high tops and is within the capabilities of most walkers. Maps: The Official Route Map HMSO 1:50.000, to get in all bigger cities in Europe (we think), or at the internet, including a book. 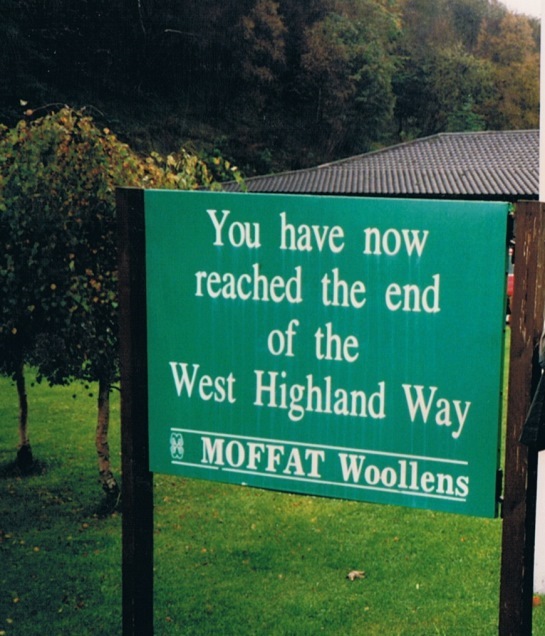 The Way links Milngavie to Fort William (152 kilometers). 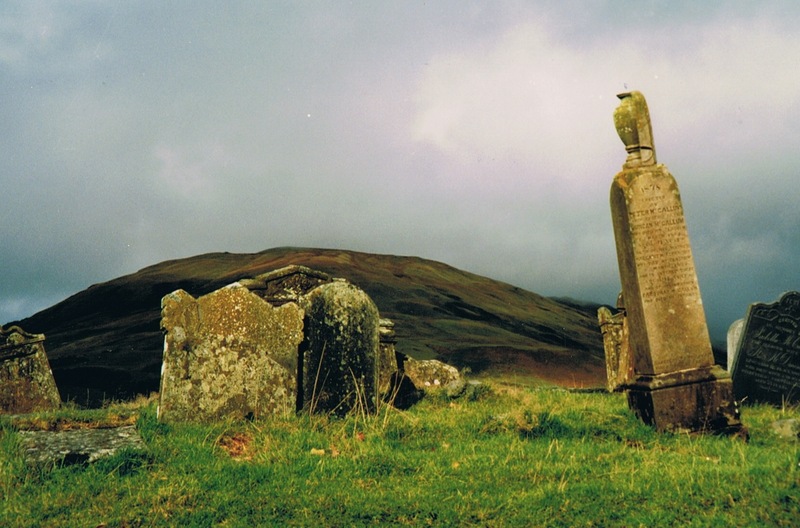 Getting there: a flight to Glasgow and the train from Glasgow Central to Crianlarich. 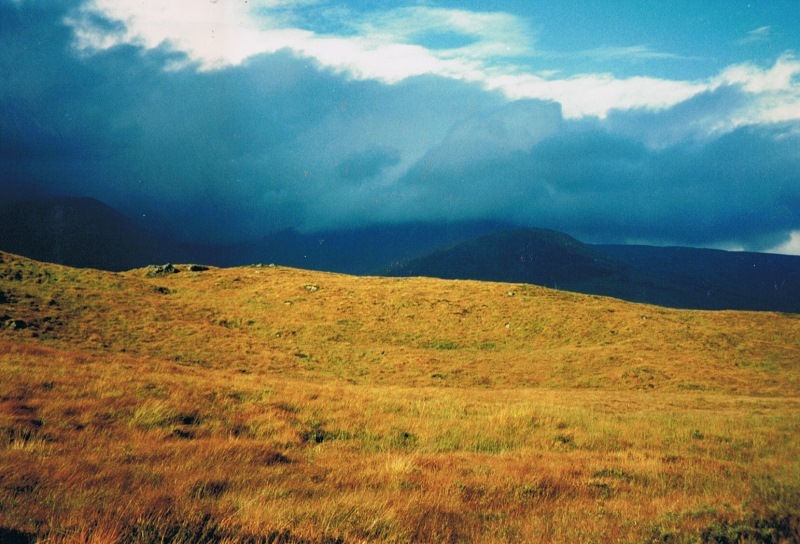 October 1996: four stages of the West Highland-way. Distance between the stage cities: about 20 km. Day 5: Fort William-Glasgow by train, enjoying the Way again! To the airport: about 5 hrs.!! 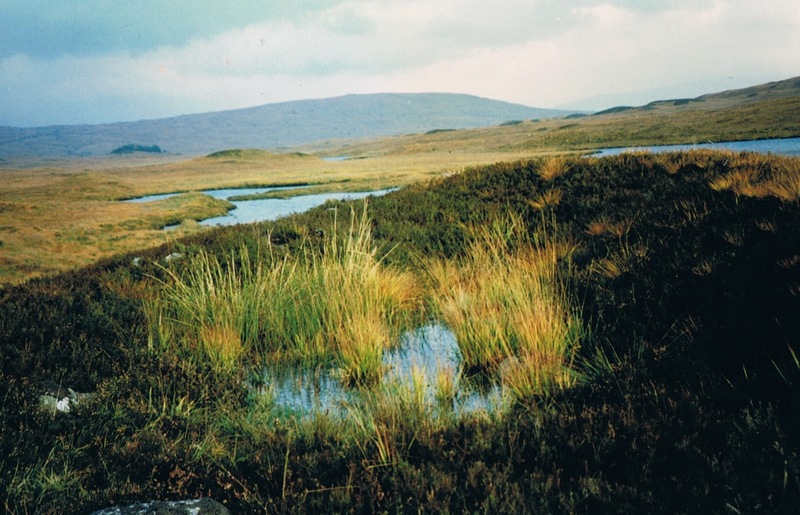 On trail: Scotland at its best, lowland moors, the green, brown, yellow ochre and orange tints in that fascinating light.Lovely green valleys, beautiful mountain lakes, woodlands, moors, heathlands, and through rough Scottish highlands. The trail follows old post roads, military roads, along river banks. 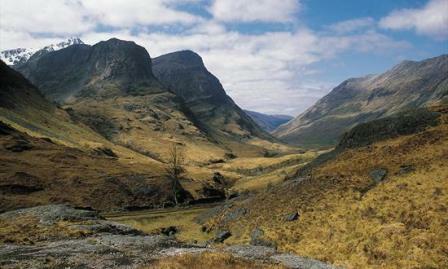 “Much ado about ”the devil’s staircase” (day 4). A steep climb…...but devil’s ? 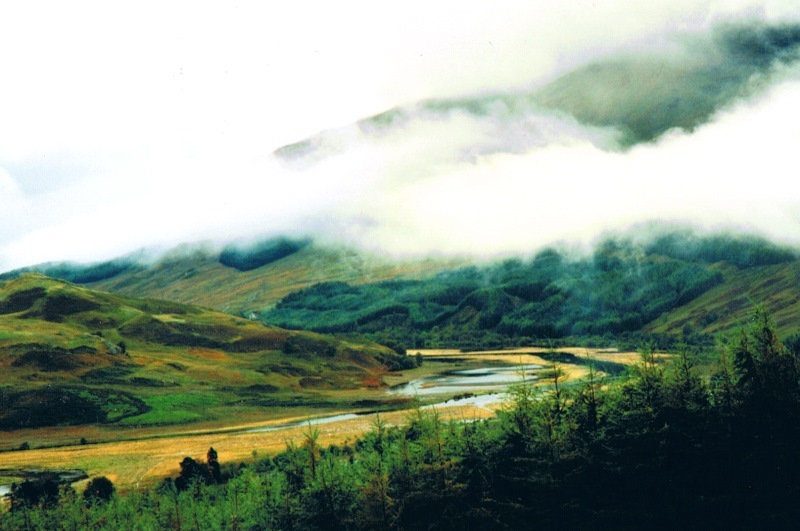 Perfect circumstances for fascinating stories, like those about Rob Roy. A kind of Robin Hood, but with more mafia practices. There should be a hiding place at Loch Lomond. 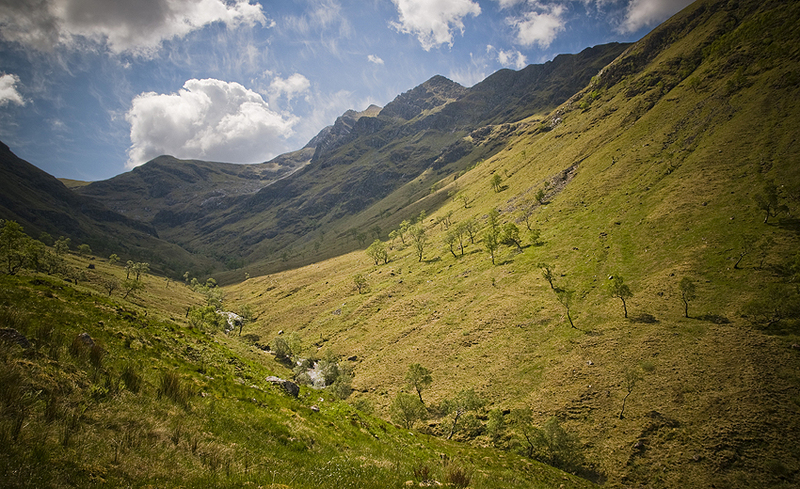 The kingship of William III over Scotland ( from 1689) had a "big impact on the Roy family......"
Glencoe is often considered one of the most spectacular and beautiful places in Scotland. Recommendation: a reservation at Kingshouse Hotel. There are no alternatives ( and they know that…).